While my Cheese Magnet colleagues are still off disporting themselves in San Diego, I am back behind the keyboard from my expedition and will soon have a report on the mysterious Dragonhuahua, as soon as photos get sorted out. 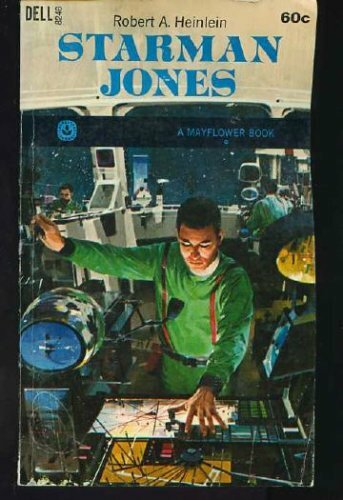 In the meantime, here’s a book review to keep you happy, the third in my continuing series of science fiction and fantasy novels of the 1950s. This time we’ll be examining a book by a man who has (much like the Dragonhuahua) achieved mythic status in the science fiction field, Robert Heinlein. Here’s a few words concerning my general opinions on Heinlein. I have not fully assessed his career, though I have read 25 of his novels (23 of them multiple times) and probably all of his short fiction. You would have to hold a gun to my head to get me to reread The Cat Who Walked Through Walls. A discerning reader would note from that statement that I have a somewhat ambivalent attitude towards him. There’s no doubt that he wrote some (actually, many) excellent novels though I’m not sure if he wrote any truly great ones. He also wrote some stinkers, particularly late in his career. The earliest novel of his I haven’t read yet is Stranger in a Strange Land. No particular reason; I’ll get to it. The couple from late in his career (see my comment on Cat) that I have read have not left favorable impressions on me, but this column is not about them and I don’t have the space to defend that opinion here. I am currently going through a reassessment of his career, reading his novels in chronological order, which is as good any way to read them. I’m up to 1956 or so. 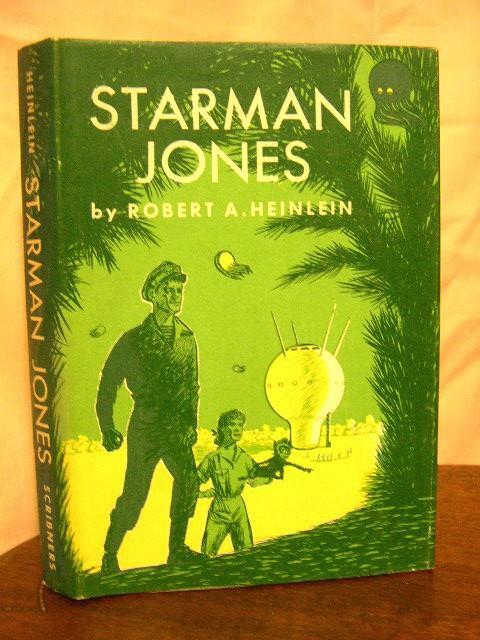 The book I’ll be discussing here is Starman Jones (1953), which (so far anyway) is his best novel of the 1950s. Heinlein tics: This my term for the character-types, plot devices, and auctorial sleight of hand commonly found in Heinlein’s novels. Here’s the ones in this book. Protagonist from broken home (mother never mentioned, father dead; sleazy step-mom who marries a mean grifter step-dad). Protagonist is a superman — mentally this time, with eidetic recall. No superlative physical powers this time around. He acquires an older mentor who is wise in the ways of the world and does have great physical powers. There is a beloved pet who survives intact. Beautiful (and rich and powerful) girlfriend pursues teen hero who remains oblivious to her charms but does kind of want to marry her. Government remains largely unmentioned, but its place is taken by hereditary occupational guilds who rule the protagonist’s worlds and whose rigid structures must (and are) overcome by the hero’s innate talents. Overall Starman Jones comes in at 91, which is right at the point on the scale (not specifically settled as yet in my mind) that separates the merely excellent from the truly great. It is currently tied (with Asimov’s Caves of Steel and Sturgeon’s More Than Human) as the sixth best sf novel published in the 1950s. It seems quite possible that it may be surpassed by one of the additional seven Heinlein novels from the 1950s I’ve yet to reread.. The same probably can’t be said for the subject of the next review, Heinlein’s worst sf novel of the 1950s. Which reminds me: no one has yet even tried to guess my (so far) number one sf/fan novel published in America in the 1950s, so I’m going to repeat my offer of free swag to the first who can name it. (It’s not that hard, really.). Granted, the worst one is rather obscure (but I’ll let that cat out of the bag at another time). So, I’ll also add this question whose answer will deliver free stuff. Name Heinlein’s worst sf novel published in the 1950s. Published. That’s a clue.